Obituary for Rose Marie (Kraeger) Locke | Iseneker Funeral Home, Inc.
LOWVILLE- Rose Marie Locke, 72, of State Route 26, Lowville, passed away Sunday afternoon, April 7, 2019 at Carthage Area Hospital. A Celebration of Life Service will be at 11:00 a.m. on Friday, April 12, 2019 at Iseneker Funeral Home, Inc. There will be no calling hours. Burial will be held privately by the family. Contributions may be made to Friends of Lewis County Hospice, P.O. Box 266, Lowville, NY 13367. She is survived by a daughter and son-in-law, Danyell and Kirk Robbins and a grandson, Zachary Robbins, all of Lowville; a sister, Darleen Kraeger of Croghan; a brother and sister-in-law, Donald and Amy Kraeger of Lowville; a nephew, Jason Kraeger of South Carolina, and a niece, Jill Kraeger of Boston, NY. 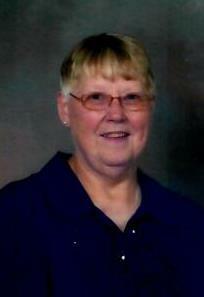 Rose was born on June 28, 1946, a daughter of the late Kenneth C. and Mary Clemons Kraeger. She graduated from Lowville Academy and lived in Lewis County most of her life. She married and lived in Jefferson County, divorced and moved back to Lowville. Rose worked for AMF in Lowville for 30 years, retiring in 2008. Rose enjoyed reading, taking walks, going to curves, and most of all spending time with her grandson and outings with friends.